A selection of new watches are being released over the next few months. Below are the ones announced so far. 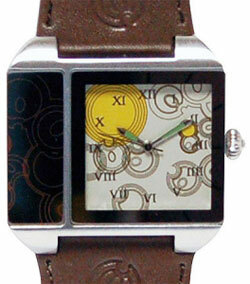 Now you can have your very own Vortex Manipulator LCD Watch from the Doctor Who TV series on the BBC! 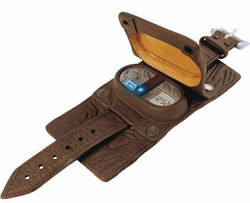 FP-7 Vortex Manipulators have been used in the Doctor Who series by Captain Jack, River Song and the Doctor on occasion! This Doctor Who Vortex Manipulator LCD Watch features the time, a light, an adjustable pleather strap, and a removable cover. It’s the perfect item for Whovians to tell the time! The Doctor Who Dalek Collectors is a must have for all fans. 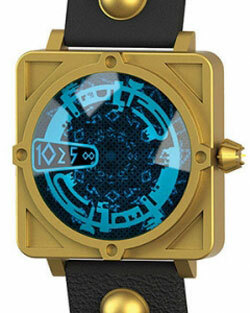 This high quality timepiece features black leather wrist straps with golden “sensory array” Dalek bumps, the display a digital blue dial with Dalek symbols surrounded by a square golden casing. Keep time with the Time Lords’ worst enemy with this Doctor Who Dalek Adult Analogue Watch. You may not be a Time Lord like the Doctor, but you’ll always know the time with this sleek and stylish Doctor Who “The Doctor” Adult watch.